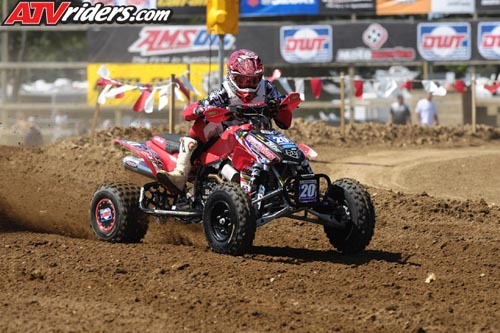 RACEPRO USA Support Rider Kenny Coolbeth joins forces with Zanotti Racing to go after the 2014 GNC Expert Championship. 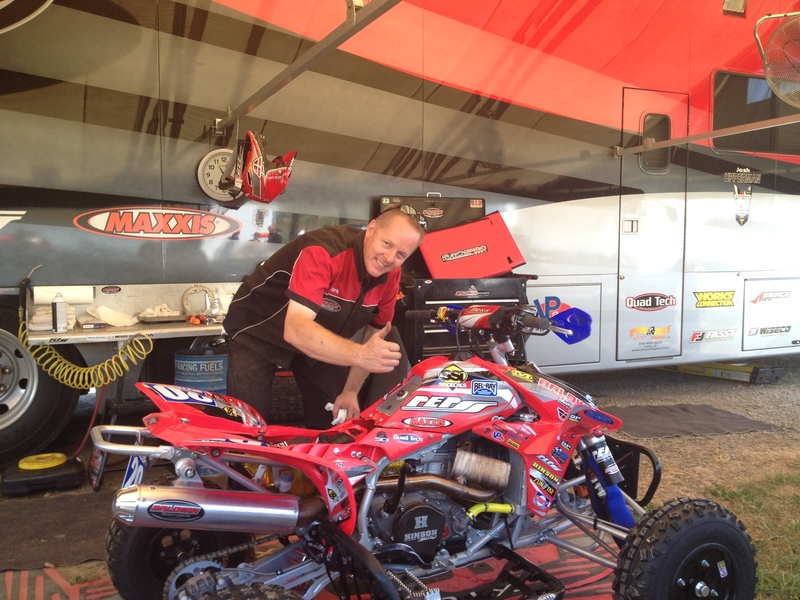 Dave Atherton will build the motors and provide lead mechanic duties at the track. 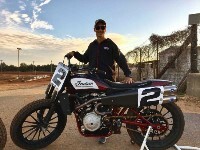 Kenny will be riding XR750’s from the Zanotti Racing collection & CRF450’s with support from Chaplin Honda. Kenny recently visited Dave Atherton’s shop in Michigan and had this to say “I am really excited about riding for Dave Zanotti with Dave Atherton spinning the wrenches, I am sure we will have the best equipment out there and I am looking forward to winning races and have fun doing it, I want to thank Dave Zanotti for be leaving in me and I can’t wait until Daytona”. The 3 time GNC Champion is healthy and mentally focused on a fresh start for the 2014 season. The Twins will be tuned out of the Atherton Racing shop in Michigan and the Singles will be tuned by Zanotti Racing in California. The team is actively looking for additional sponsors, please contact Shawn McNary smcnary@tampabay.rr.com if you are interested. HARD CHARGING TEAM SCREAMIN’ EAGLES HARLEY DAVIDSON RIDER KENNY COOLBETH! RACEPRO USA supported Team Screamin’ Eagles Kenny Coolbeth concludes the Springfield Mile National with a bang taking a hard fought 4th in the main!. All weekend long the racing was fierce and separated by fractions of a second at speeds over 130mph! 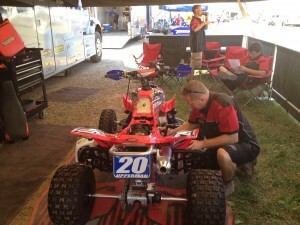 On Saturday’s schedule Kenny placed 2nd in his heat, 3rd in the dash and 6th in the main event…. On Sunday Kenny picked off some more riders and won his heat, 2nd in the dash and 4th in the main! 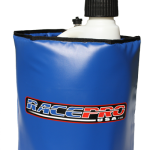 RACEPRO USA wishes you continued success this season and thanks you for choosing our products to keep your fuel at its best ! 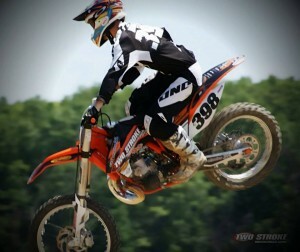 RACEPRO USA SUPPORT RIDERS HIT THE UNADILLA MOTOCROSS NATIONAL AUG.10TH! Robby Marshall’s TSM/Sikkshades/Racepro USA supported KTM 250 at rest Don’t miss the Unadilla/Built Ford Tough MX National at New Berlin NY Aug.10th!….On the agenda for everyone, and adding some excitement to the day is the TSM/SikkShades 250 2-stroke KTM team aiming to get a 2-stroke back in the 450cc class mix! 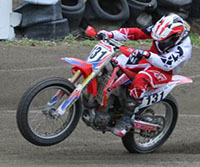 …It a tough deal but they have some strong riders and very fast 250cc bikes to back it up……and of course the best equipment to use!…. 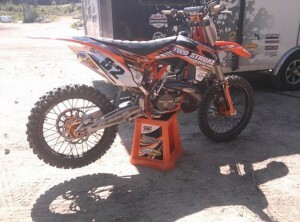 Don’t think for a minute that pros and teams in the know go to the start with over 60 degree fuel in their tanks…TSM and many others including JGRMX, take the start very serious and have all their bases covered including the the race day fuel prep (which is handled by our Cool Fuel Jackets back in the pits). Along with many other factory based teams and privateers, our fuel jackets are now providing a means to get the most power from your fuel and to ensure the additives in that fuel, (whether it be race fuel or pump fuel) are stable in any climate conditions. 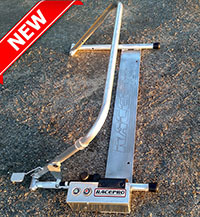 Inexpensive fuel insurance lets say, for the most from your racing engine! 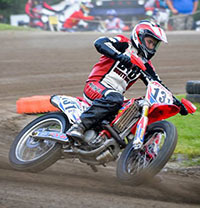 DON’T MISS THE LAST SOUTHWICK MX PRO NATIONAL AND THE TWO-STROKE MOTOCROSS TEAM JUNE 29TH! 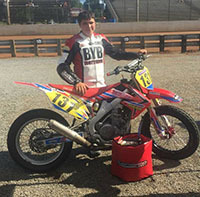 Also, James Coen will be there on his Honda CRF450… James qualified on his first National ride at Budds Creek Maryland 2 weeks ago and comes from Dist 34/MSC in NY. 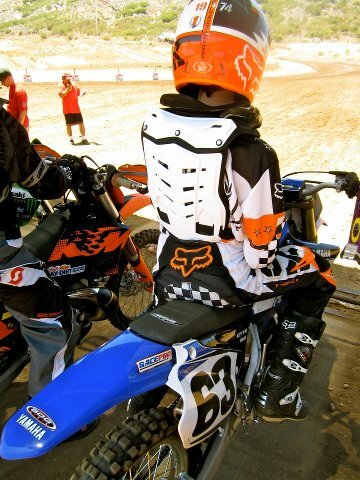 He was one of our first sponsored riders on his KX85..Wow what a change !…. 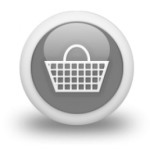 Good luck GUYS …The battle continues! 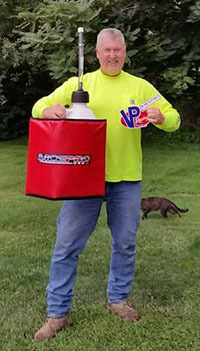 ANOTHER RACING SEASON IS HERE!… As the weather starts to warm up here in the Northeast we are excited to add a new rider to our sponsorship program!…Harley Davidson Factory Rider Kenny Coolbeth, the AMA 3 time Grand National Champion, will be using our COOL FUEL jackets in his quest for a 4th National Twins Championship. 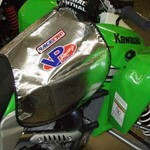 Kenny will also be piloting the hypo Chaplin Kawasaki KXF450R in the National Singles Championship this season. 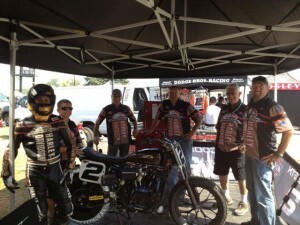 Getting off to a great start with a 6th at the first Singles event in Daytona, the “King of Cool” is sure to be a force to be reckoned with at this years AMA Flat Track Nationals! 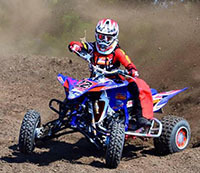 We want to thank Kenny Coolbeth, Baldwin Motorsports Pro ATV Racing, Joe Gibbs Racing MX, and scores of other racers and teams for thinking of us when correct fuel preparation and heat management is a critical part of winning! Fuel temperature preparation is part of a plan that every pro team knows and uses, it should be yours too…..Do not overlook the details to gain an advantage at the start of a race! 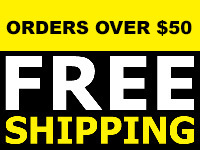 All our orders are NO-CHARGE SHIPPING for the Month of April….Don’t miss out on a COOL start for the 2013 season! 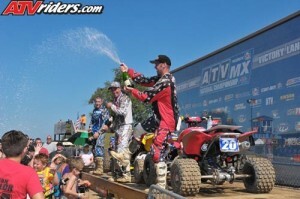 Baldwin Motorsports finishes a successful ATV National Series! 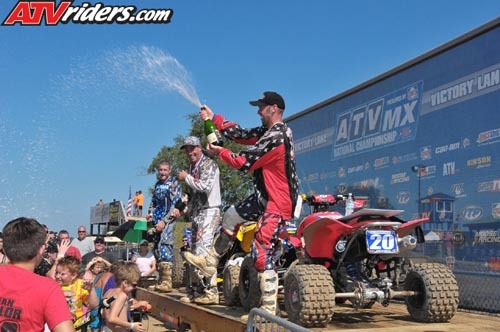 Uppermans 5th overall at Loretta Lynn’s ATV National caps a successful season for the Ohio based team…..The overall points standings for the year places Josh in 4th for the 2012 season. Here’s to next year and the 2013 season guys (and gals of course!) 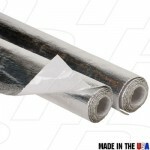 where we will the continue the racing battle with the COOL-est products for keepin your engines performance at it’s max! ..We can’t wait! #20 Upperman start Moto 2 Red Bud...Cool Fuel HP! 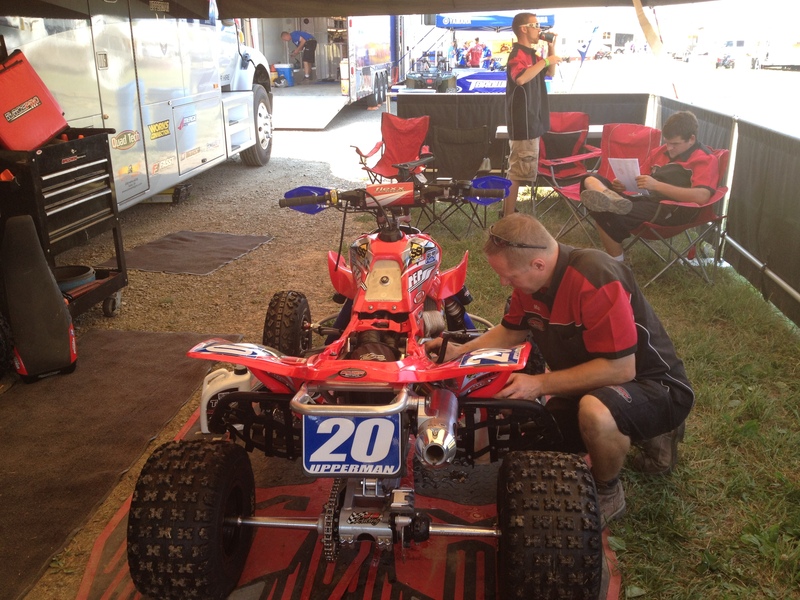 Upperman finishes a strong 2nd overall at Round 10 of the ATV Nationals in Michigan. 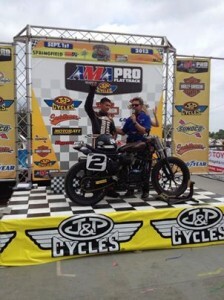 Moto scores of 4-2 result in the podium finish and a great day for Baldwin Motorsports Team. 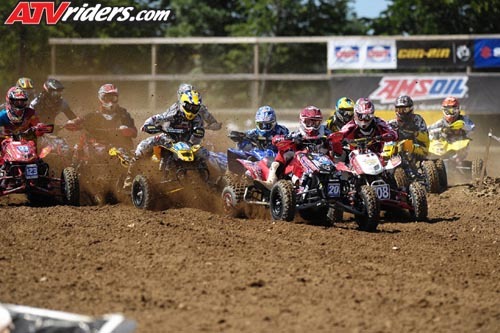 Unadilla NY ATV National .. Baldwin Motorsports! Time is now..and always for Cool Fuel at the start of your race! Always remember heat is you enemy when it comes to Fuel Temps entering your engine..You should always make sure you follow a cool fuel plan at your start………..! 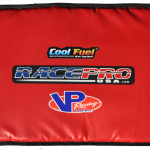 Years ago when we started fuel testing at the races and with the help of VP Racing Fuels, we released the Cool Fuel Ice Jacket. 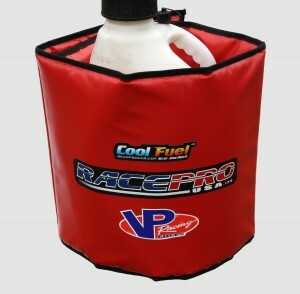 Since then, every major mx,road race, and off road team and riders in the know, are using the important cool fuel plan at the start…..We want to especially thank VP Racing Fuels and teams like Joe Gibbs Racing MX and Baldwin Motorsports for there added input and support! 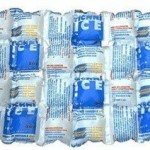 The competition is heating up… time to stay cool! RACE PREP!…Something to think about and act on for great results! Sean Bell is prepped and ready in CA.! If you plan on doing well at the races you will need to think about faultless race prep…Yes, your machine prep is just as important as your physical conditioning. 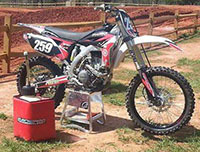 As a rider, you do not want to go through a rigorous training regiment and forget the little details that make your race bike (or atv) a winning mount….Correct machine set-up includes one of the basics of performance….FUEL…! Always use a high quality fuel in your machine…If at all possible spend a little extra cash and purchase a quality race fuel such as VP Racing blends. Pros and Novices alike are taking extra care in their fuel prep to ensure the highest performance from their engines and we thank them for using our products! …. 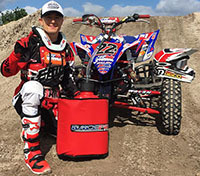 RACEPRO USA started a performance trend in motocross years back which continues today….Cool Fuel Ice Jackets with Techni-Ice, Staging Shields and related tank insulating material from HP Products will cover all your bases for a winning fuel prep combination!